A large contingency of clients, friends and professional advisors frequent the Carolinas over the summer months. The Tampa Bay Trust Company was pleased to be the presenting sponsor of the July 27th “Groov’in on the Green” outdoor concert in Cashiers, NC. 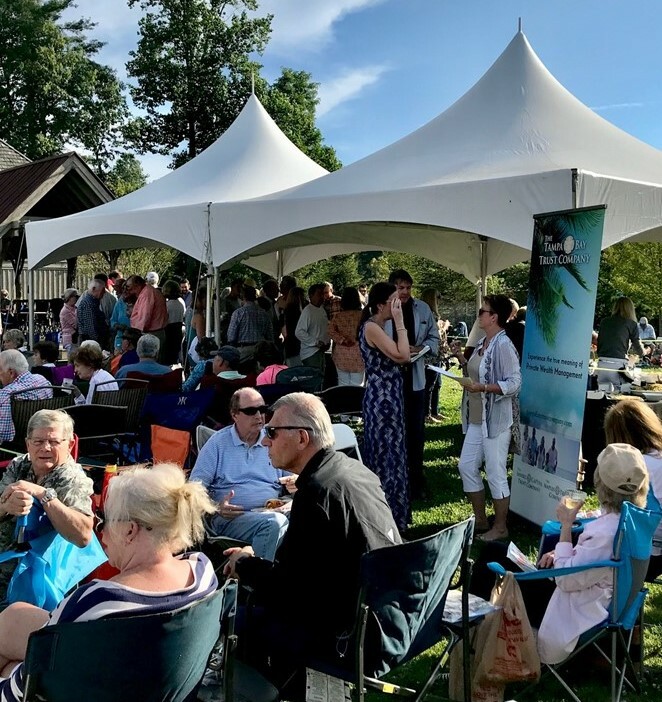 Over 80 guests attended the relaxed evening event along with several hundred music fans at The Village Green – a popular outdoor venue among area residents and visitors. Families came out to play and lay out picnic dinners while enjoying the music of the acclaimed High Five Band.